A certificate of origin certifies the country where the goods originated. A certificate of origin may be required by the government of the country where your goods are imported. It’s also frequently used to determine how much duty the importer will pay to bring in your goods. Most countries accept a generic certificate of origin form that includes information about the exporter and importer, the description and harmonized tariff code of the goods, and the country of origin. The importer depends heavily upon assistance and cooperation from their U.S. suppliers in producing accurate and well-documented declarations of origin. These certificates are usually prepared by the exporter and stamped by the local chamber of commerce. These certificates certify that the goods’ country of origin does not qualify for any preferential treatment. These are the main type chambers issue, and they’re also known as ordinary or generic certificates of origin. This type of certificate certifies that goods are subject to reduced tariffs or exemptions when they are exported to countries extending these privileges. Fill out an appropriate affidavit and have it notarized. Provide either a manufacture invoice or commercial invoice indicating where your goods are manufactured. Take your notarized affidavit, certificate of origin document, and corresponding invoices to your chamber of commerce. Some chambers allow you to email these documents. If you email the documents, indicate which documents you would like to be stamped. Chambers usually charge a fee for stamping certificates of origin—however, if you’re a member, that fee may be reduced. This is an incentive of becoming a member. Because the process of creating a paper Certificate of Origin can be time consuming and expensive when you add in all the delivery and/or courier fees, more and more exporters are creating electronic certificates of origin (eCO). With an eCO, you can submit the required documentation online and get an electronic certificate stamped by a chamber of commerce in less than a day or, if you prefer, receive an expedited paper certificate over night. Shipping Solutions' electronic certificate of origin service is only $50 ($25 if you are a Shipping Solutions Annual Maintenance Program subscriber), and is quick and easy to use. First, register for free at the eCO web page, and then, when you are ready, log into the eCO portal and submit your export information. Our certificate staff is accredited by the International Chamber of Commerce World Chambers Federation. You can be assured that your certificate will comply with the rules, regulations and best practices of international trade. 1. The chamber can’t know if the information you’re providing is accurate. Chambers certify only that which they are able to verify. Certification guarantees the accuracy or truth of information contained in the document and is expressed by using the word 'certified.' Certification may be given for the whole document or may be limited to the position and identity of the Signatory. 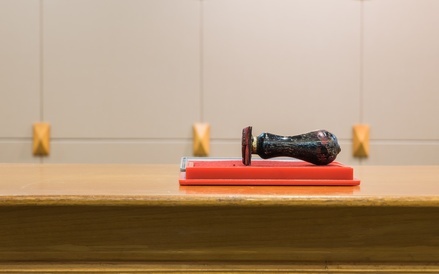 If the Chamber is presented with a declaration attesting to commercial details, the accuracy of which it cannot check it must confine itself to stamping the document attesting to the position and the identity of the signatory. 2. You can’t stamp the document yourself. Exporters may find the cost of stamping a certificate of origin extreme and want to do it themselves with a seal provided by a chamber of commerce. This is wrong, because it isn’t a true validation—chambers who do this may lose their ability to provide certification. Chambers that provide their seal directly to exporters or their agents are exposing themselves to liability by providing their seal without examining the documents and going through the check list. In some cases where Chambers have given their seal there have been cases involving the fraudulent issue of certificates or the forging of certifications. Chambers of commerce can be an excellent resource for exporters. Make sure you know what’s going on with your local chamber, so you don’t miss out on any helpful export-related events or programs. This article was first published in January 2016 and has been updated to include current information, links and formatting.